Lincoln Motor Company made headlines by signing Matthew McConaughey to a two year endorsement deal, and is bowing its first three TV ads this weekend. 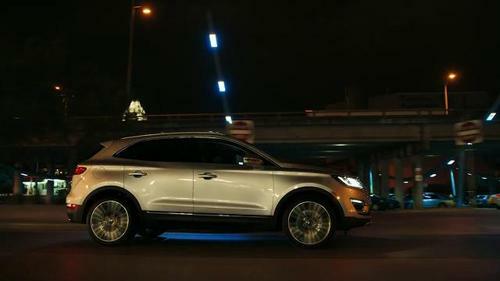 The celebrity partnership kicks off with a campaign for the new Lincoln MKC. McConaughey seems a man of stories, and Lincoln has wisely built a cohesive campaign around him that tells a story in a way few other automakers have attempted. For more than 20 years, McConaughey, has carved out a place for himself in Hollywood with roles as a seemingly simple everyman with a gift for waxing philosophic. The southern drawl and soft gravel delivery in his vocals makes for characters that shine in their soliloquies. Few actors are more engaging when talking to themselves. We were introduced to this pragmatist with a poet’s soul by way of McConaughey as David Wooderson in Dazed and Confused. We found a connection to an unsanctimonious man of faith in McConaughey’s portrayal of Palmer Joss in Contact. Now, Lincoln, wants us to join in the journey of a man and his new car. In Lincoln’s new “Intro,” commercial, McConaughey is driving through a city nightscape and philosophizing about going back to where you’ve been to see where you’re going. Visually, there is not much unique about the spot – it’s all pretty city lights, a pretty car, and an unusually quiet highway. It does, however, employ an evocative score that broods and lingers, just as the copy McConaughey recites. The closing tag line and hashtag, “Live in the Moment,” reveals the overarching campaign strategy. This first ad, judged in isolation, suffers from some disconnect between the slogan and the copy about going back; but the other two TV commercials reveal a longer story that seems to be setting up the promise of what it means to live in the moment. 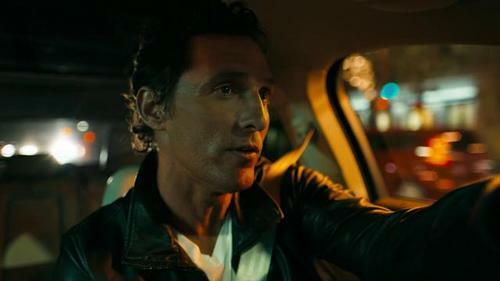 When we first meet Matthew McConaughey and his new car, he is leaving town late at night (or early in the morning?) and dialoguing about “going back.” The second Lincoln MKC TV commercial, “I Just Liked It,” reveals a bit more about McConaughey and his journey. Now, he is driving the open road, somewhere in the southwest or, maybe, Texas. Unlike the typical auto commercial, the musical score is again more subdued. It plays a thoughtful theme where even the first ad’s initial excitement, wrought from the high octave strings and piano keys, is removed. This is not the early anticipation of a journey nor its climatic conclusion. It is the long interlude of open road where we get to focus on the character and his backstory. We still don’t know where McConaughey is going, and this second commercial is less effective at evoking interest in what’s to come. What it lacks in emotional pull and momentum, it makes up for in the harder sales pitch that doesn’t often come from a celebrity endorsement. Of the three new commercials, it’s probably the least effective as a part of the brand awareness ‘story;’ but may be the most effective at selling cars. “Bull,” the third in Lincoln’s TV commercial series with McConaughey is surreal, yet simple. After long hours of driving – McConaughey is seen as grittier, with tussled hair, and without the tie and jacket he wore in the second ad – the driver sits in his car, stopped in the middle of the road, and stares down a behemoth of a bull that has wandered into the street. Of the three commercials introducing the Lincoln and McConaughey partnership, “Bull” seems most poised to earn viral traffic to the video online. It is weird, unexpectedly funny and has some impressive subtle acting from McConaughey. What it doesn’t do is bring the story to a close. As McConaughey tells us, we’re taking the long way. It’s a fitting close to the first act, which wraps up our introduction to Lincoln’s relationship with McConaughey and suggests a longer story that’s yet to play out. Serial storylines like this are tricky business in TV advertising. It’s asking a lot of an audience to be engaged enough with a commercial to follow its story across multiple ads. Using Matthew McConaughey seems to be a good hedge against these risks, as he is typically someone an audience will eagerly follow from unsure story beginnings to revealing story conclusions. 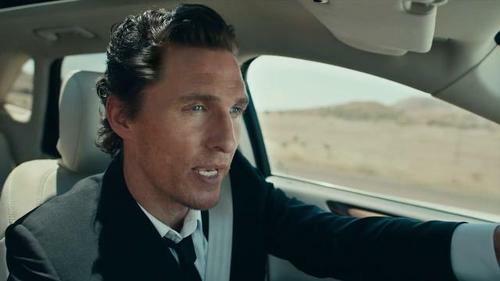 By bringing on Matthew McConaughey to launch the Lincoln MKC, and creating a slow-burn story for the actor to execute, the automaker has taken a bold approach to auto advertising where the campaign asks the audience to come along for a ride. Now we wait to see where Lincoln will take us.